Wendy Davies, Eric & Zena Souter were sitting on the grass after playing tennis in 1953 when the subject of what to do now that the Tennis season was practically over, came up. Wendy said "I used to play Hockey for Albert E Reeds, but now that I don't work there any more I don't suppose they will have me back, pity they haven't got a Hockey Team here " – they all looked at each other & said "Shall we start one? – Yes". We also contacted Frank Martin, Billy Mobbs, Oliver Genge, Stan Chesson & Jo Stewart (the Village Doctor) who played for Scotland before he moved to Sutton Valence who became our goalkeeper – The Sutton Valence Mixed Hockey Club was formed. 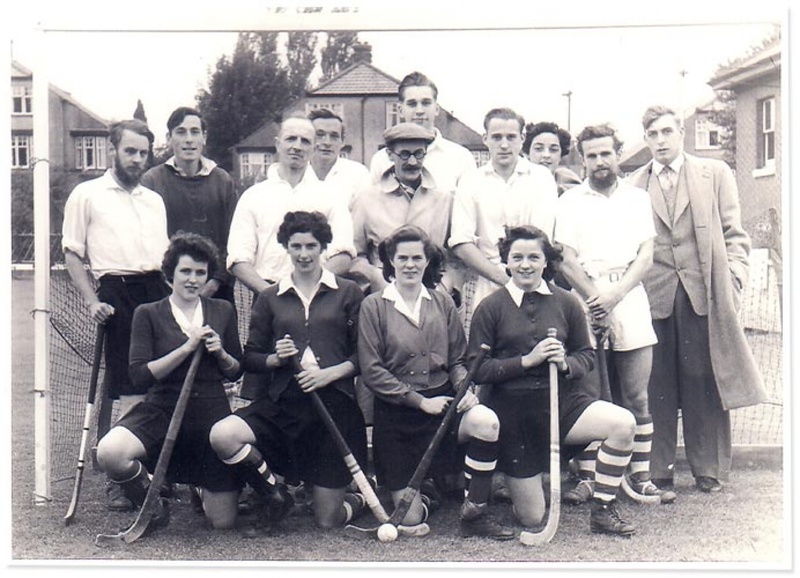 A few years later in 1957 we made up Men's & Ladies' teams with the help of Tenterden Magpies, East Malling Research Station & Boxley, & entered the Thanet International Hockey Festival which was held annually at Jacky Bakers Sports ground in Ramsgate. By now we used Sutton Valence playing fields & Peter Davies helped build the Pavilion for the Tennis, Cricket & Hockey Clubs. Mrs Frank Martin came along every week & made the most delicious teas after the matches. As time went by we were able to run Ladies & Men's teams with allour own people, & the Club processed into what it is now – 6 Men's 2 Ladies & Minis. Zena, Eric & Wendy were very pleased to be the initial instigators of the Club & Peter Davies umpired for the Club for many years. The Club has been running for 59 years & we hope it will carry on for many more – the original subscriptions were 12/6d per year & 2/- match Tax!